Afrah Nasser's Blog: Yemen’s Hodeidah: Saudi-led Coalition's Key to Sana'a or UAE's Key to Yemeni Ports? Yemen’s Hodeidah: Saudi-led Coalition's Key to Sana'a or UAE's Key to Yemeni Ports? I analyzed the Saudi-led coalition's tough battle for Yemen's Hodeidah port and the UAE's goals in the battle. 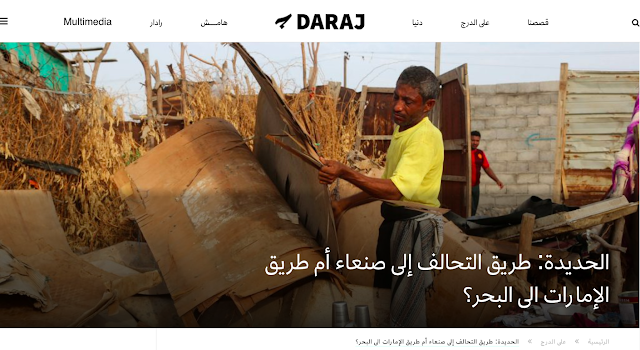 The article was originally published in Daraj.com in Arabic.